The Grainfather is your all-in-one brewing system to make beer from scratch. The sleek look, the user-friendly and intuitive design, and the innovative features make this your perfect brewing companion for both experienced and beginner all grain brewers. 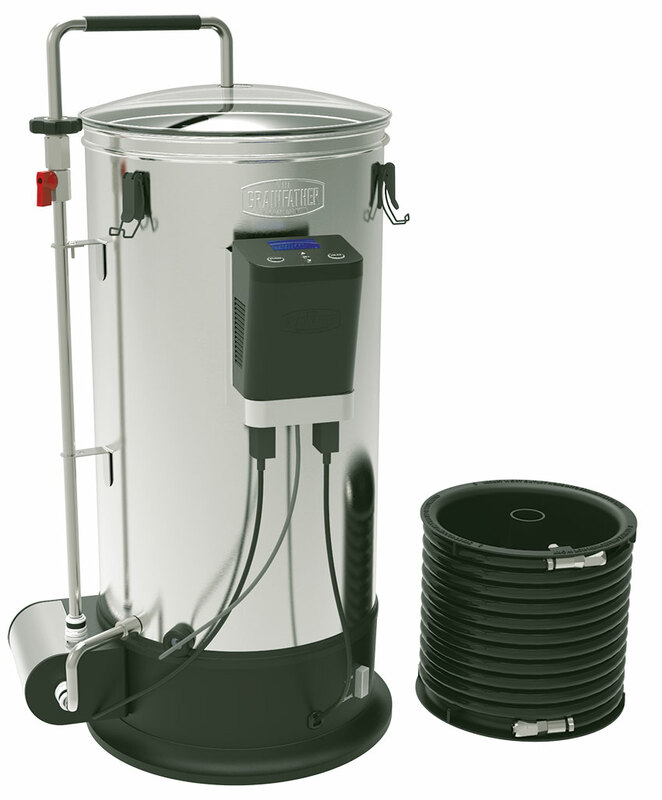 It is made from high quality 304 grade stainless steel with a 30L capacity, designed to make up to 23L of beer from one brew. For more details and specs on this system, check out their website.